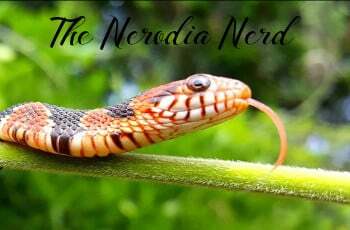 Nerodia erythrogaster is a semi-aquatic, non-venomous colubrid snake. It gets its common name because it has no patterning on its underside. There are four recognized subspecies of Nerodia erythrogaster. They can vary in color from brown, to gray, to olive green, with dark-colored blotching down the back, and an underside that is yellow, brown, red, or green. Nerodia erythrogaster can be distinguished from other species by the near-uniform coloration of the dorsum and both the ventral and subcaudal scales. Adult females will do well in any of the following or equivalent sized caging 30g tall, 40 breeder, 55g long. Maturity and use of the space will dictate which is right for your pet. Adult males usually need nothing larger than 20g long or 30 tall if kept alone, males kept in pairs or trios should be given a 40 breeder equivalent or larger. Neonates tend to fair better when kept in small groups, much like their close relatives, garter snakes. The down side of communal housing being that one must give absolute and undivided attention when feeding, or place each into a separate container to feed. Given that the food response of others will often trigger the food response in a weak feeder, I prefer to just give them my undivided attention (Not a novice option, please use caution). Juveniles seem to prefer heavy vegetation, cage crowding, tubes and other tight spaces. Adults do well with cork halves, caves, or just about anything they can squeeze into. Humid hides can be packed with damp spagnum or eco-earth. Most typical substrates will work for water snakes, however one that holds humidity without becoming soaked or molding is best, such as Pure Cypress mulch or a Reptichip type bedding. I have also had great success mixing things like Orchid bark and spagnum moss. Watersnakes seem to thrive best with a day night cycle, so some supplemental lighting is needed to keep your pet happy. Full spectrum lighting should be offered on 12h cycle. I have found several suggestions that supplying it may attribute to their overall well being. Heating is something one must pay attention to. Basking temperatures around 30-31 °C (86-88 °F) supplied via raised platform or foliage under a lamp or RHP/CHE have worked well in box type cages, as have underbelly heat and room temp sources in tub setups. The cooler end of your caging should dip to about 24-26 °C (76-78 °F), to allow your pet to thermoregulate as needed. This is incredibly important as Nerodia may begin to show heat related trauma if exposed to temperatures around 35-36 °C (95-98 °F) for surprisingly short amounts of time. Supply a large enough dish for soaking or swimming, and be sure to change it every day, and immediately after your snake poops in it, as they often will do so. If not providing a humid retreat, then an ambient humidity between 40%-60% will typically do to keep a full shed and well hydrated respiratory system. I have yet to experience any RI symptoms following these guidelines, however going too high can cause some skin issues, which is also why I heavily advise against trying to do an aquatic or even semi aquatic set up. Most can be easily swapped to rodent or reptilinks with scenting, and grow faster on such diets. Wild caught and stubborn juveniles may need to be supplemented with live fish at first, and then swapped to frozen thawed fish, and then to scented prey, but the less you can feed live fish, the better, as they will be rife with parasites, and studies suggest that thiaminase content in some fishes lead to neurological and organ function issues. The safest fishes are typically those native to north American fresh waters, such as sunfish, bass, and gambusia. Store bought guppies, mollies, platys, and sword tails can be used, as can frog legs and tadpoles large and small. Juveniles should be fed as often as 3-4 days if fed fish, 4-5 if fed pinks or reptilinks. Adults, 3 years and up, should follow similar spacing differences based on prey, with Fish and amphibian spacing being approximately 5 days spacing, rodents weekly, and links 10-12 days apart (or more, these meals are supercharged and should be fed less often.) Nerodia respond to having prey brushed against the sides of the neck, just behind the head, often by gaping and swinging their head side to side, waiting for the prey to touch the inside of the mouth. This benefits them in the wild when small schools of fish are found stranded in tight spaces, and is a keepers best friend for triggering feeding responses. WC and juvies may be nippy, as with any species, however many nerodia tame down surprisingly swift, by comparison. Small nerodia may surprise you with a sudden dash-leap, so be sure not to handle near air vents or other hidey holes. From personal experience and speaking with other breeders, this is one of the species that, if wild collected, may remain more easily agitated for some time. The most essential thing is cleaning the water dish regularly, as they will use the bathroom in it almost exclusively. Spot cleaning and monthly substrate changes or as needed. Beware of strong chemicals, rinse everything a few extra times with water after using a cleaner. Given their fondness for sitting in water dish and humid hides, incomplete sheds are a rarity and a sign of severe health or husbandry error. There are two main concerns with nerodia. The first comes from husbandry error, via aquatic or 50/50 setups. Both air and water must be filtered/ventilated to maintain a clean enough and dry enough environment so as not to cause water blisters and bacterial skin infections in your pet. 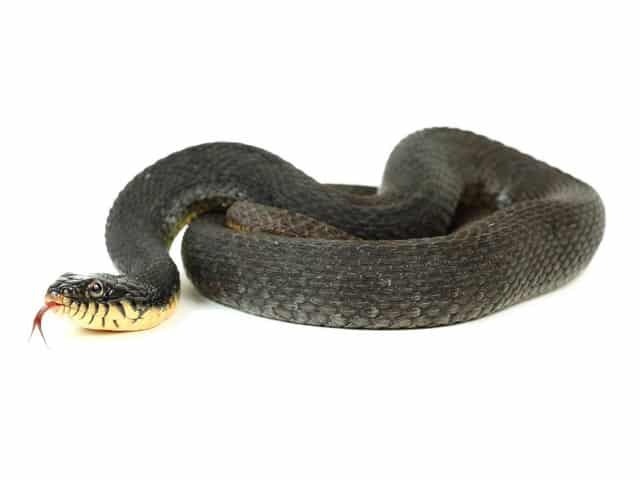 The second comes from taking wild captives, that may carry parasites (which can be treated with appropriate dewormers as diagnosed) or other diseases, such as the growing threat of Snake Fungal Disease. Any wild animals should be quarantined in a different room, preferably in such a way that they do not even share the same air, unfiltered, to avoid spreading spores if they are carrying. SFD can take up to 30 days or more to present visible signs. Another issue to be aware of is ovarian type cysts or cancers in mature females. I have observed them in roughly 50% of the WC captives and wild populations. Also, when treating for mites, non-pesticidal remedies are a must, as nerodia are extraordinarily sensitive to chemical pesticides, and neurological damage or death are likely.